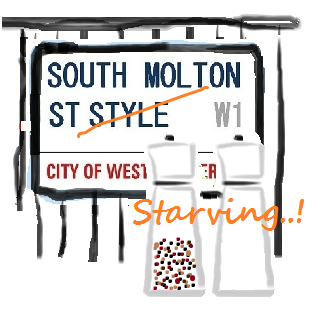 Little post for some big self promotion - we've decided to branch out and have started a sister-blog called 'South Molton St Starving' - see what we did there?! Ah fabulous idea! Just the thing to keep me up to date with all the new eating developments to return to when I get back from NYC!